Nintendo has "no plans at present" to release the highly-anticipated JRPG outside of Japan. These days, it's pretty rare for for a big-name JRPG to not get released out here in the West, especially when they're highly anticipated and being put out by one of the bigger publishing groups. 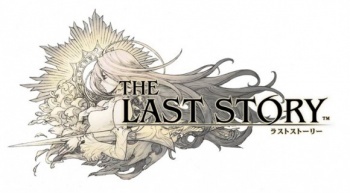 However, this is the case of Mistwalker's The Last Story, which is currently only planned to be released in Japan. The long-awaited RPG is being developed by Hironobu Sakaguchi (the man who created Final Fantasy, Blue Dragon, and Lost Odyssey) and will be published by Nintendo. According to previews, it even has more crossover appeal than many JRPGs because it features a real-time combat system instead of traditional turn-based fighting. Despite this potential, when a publisher representative was asked about releasing the game to Western territories, VG247 received the following response: "We have no plans at present". It's more than a little surprising that Nintendo would want to keep the game only in Japan, but at least this isn't a final edict stating that it'll never come out in places like North America and Europe. Hopefully, if the game is well-received enough and enough demand is voiced by the general public, maybe the publisher will change its mind.